Apply sealant to all plugs-(1, 2, 3) prior toinstallation. Refer toAdhesives, Fluids, Lubricants, and Sealers.Install the drain plug, with sealant, in the waterpump. 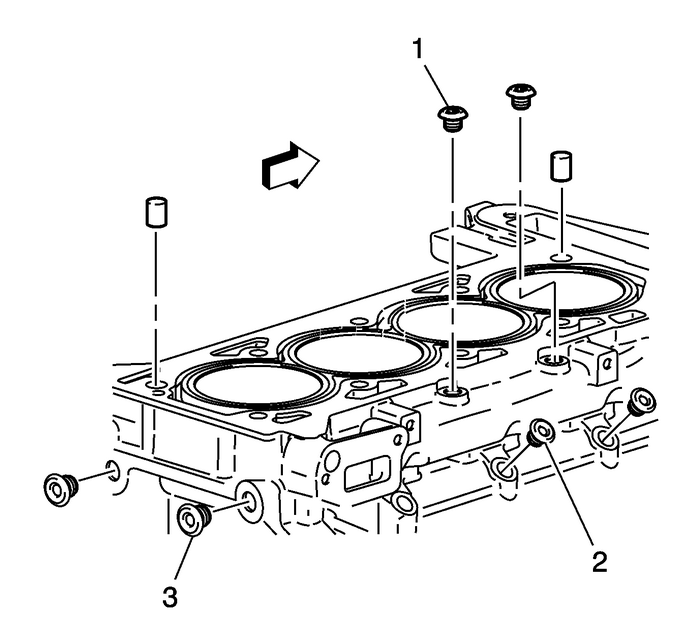 Install the coolant jacket plugs, with sealant, and tightento35-Y(26-lb-ft).Install the rear oil passage plugs, with sealant, and tightento60-Y(44-lb-ft).Install the other oil passage plugs, with sealant, andtighten to35-Y(26-lb-ft). 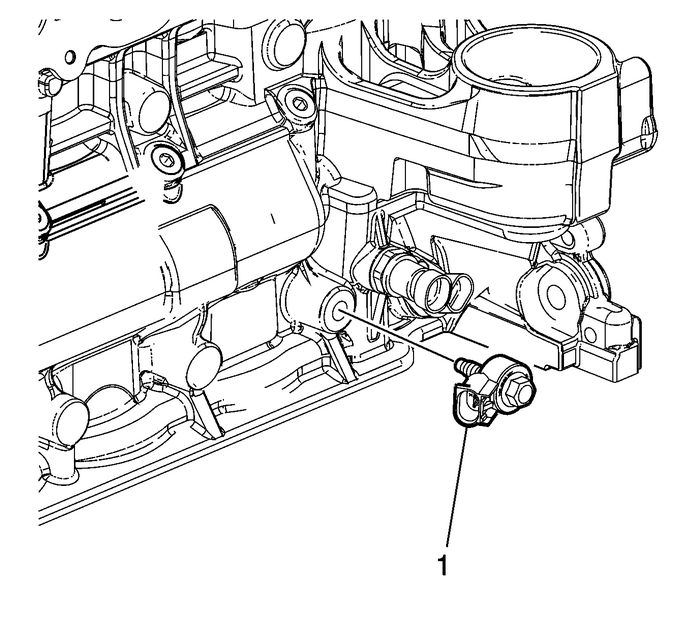 Lubricate the crankshaft position sensor O-ringwith engine oil. 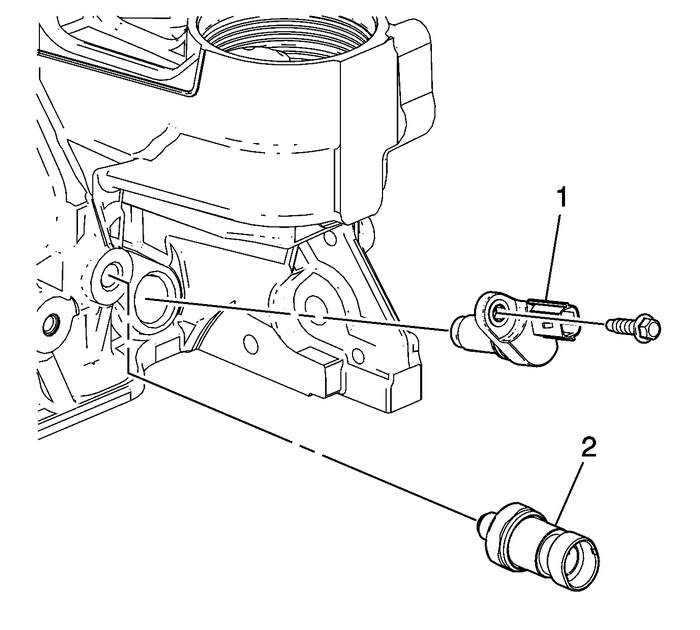 Refer toAdhesives, Fluids, Lubricants, and Sealers.Install the crankshaft position sensor-(1) andbolt and tighten to10-Y(89-lb-in).Install the oil pressure switch-(2) and tighten to26-Y(19-lb-ft). 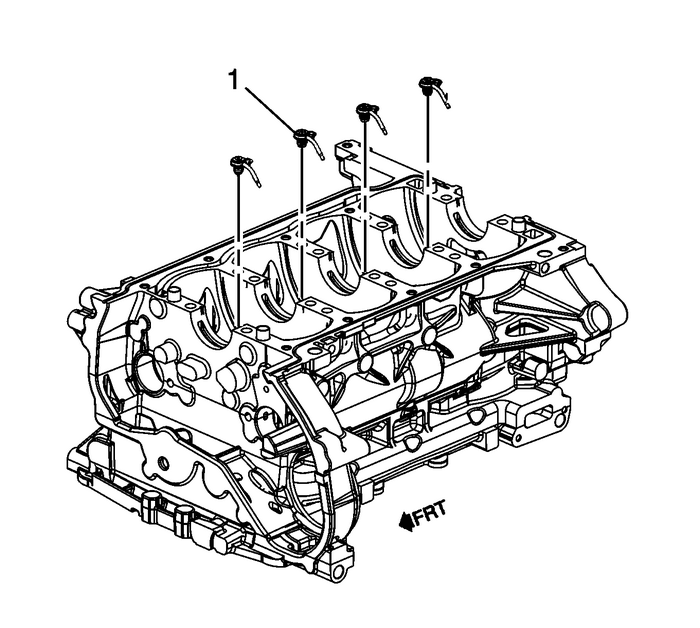 Install the knock sensor-(1) and bolt and tightento25-Y(18-lb-ft). Install the piston oil nozzle assemblies-(1), ifequipped.Install the piston oil nozzle assembly bolts and tighten to15-Y(11-lb-ft).